Solid Mastermind hosts a free Solid Edge Forum. A dedicated, independent, user and discussion forum for Solid Edge. The importance of access to a free and open forum in supporting and enhancing your use of Solid Edge cannot be overstated. Ability to attach files to your forum topics and replies, your own forum signature, quote and subscription functions. Uncluttered forum interface as no advertisers or sponsors are permitted to support the forum. No requirement to own a Solid Edge license nor have a current maintenance contract to use the forum. Accessible to anyone who registers and abides by the Forum Guidelines and Solid Mastermind Terms & Conditions. Available in English worldwide, 24x7. Anyone that contributes to the Solid Edge Forum is contributing to the wider Solid Edge community. 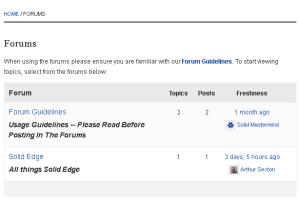 The Solid Edge Forum becomes more and more valuable as fresh new topics and replies are continuously added. This forum was launched in early August 2012. Please remember it will take sometime to generate momentum and this will only be achieved by the support and contributions of Solid Edge users worldwide like you. Those who get the most from Solid Edge are those who give the most. It’s very important you use what is available within Solid Mastermind. Put it to work for you and watch your business grow as a result. Many are run by organisations or individuals that have little or no interest in, or knowledge of, Solid Edge. They are using the forum to attract visitors for other purposes. Many are not dedicated to only Solid Edge. They provide forums for many other products in addition to Solid Edge often within the same website. 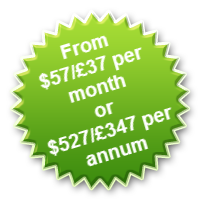 Most on-line forums are cluttered with advertising that hinder the effective use of the forum. Many require that you have a commercial relationship with the provider before being allowed access. Many lack momentum. They have few active users, nor current topics and replies. By way of an example the latest activities reported on some recently surveyed are from over one year ago. Many are controlled far too strictly by the provider. ...as it suffers from none of the problems outlined above. Is hosted by an organisation committed to Solid Edge and whose founders have be deeply involved in supporting Solid Edge since it's release in 1996. Is an integral part of Solid Mastermind, the expert on-line resource for Solid Edge. Is a dedicated independent forum for Solid Edge.